In November of last year, Andronico’s Community Markets, an 88-year-old grocery born and based in Berkeley, was sold to Safeway. It was family-operated for most of those 88 years, up until the Andronico family filed for bankruptcy in 2011 and sold to Renovo Capital, a private equity firm. Renovo reignited sales and stoked them by partnering with Instacart and pulling the market into the digital age, eventually catching the eye of a big-box behemoth looking for a graceful way into neighborhoods that like their bacon pasture-raised and hand-peppered. 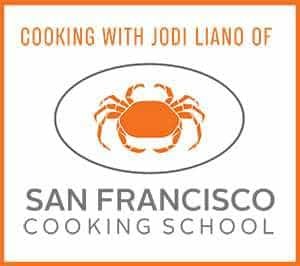 This is not a new story, at least not since the 80s, when big-box stores started wading deeper into the Bay Area’s food scene, undercutting or acquiring local markets who hadn’t the size, scale or scope to compete with prices or variety. And these days, a local market like Andronico’s is a particularly appetizing acquisition: offering old local roots, renewed relevance and key market intel. Natural and specialty foods are more interesting to big-box stores than ever—the organic product sales have gone up at least 200% since 2005—and with little experience but a lot of money they’re buying up or mimicking the ones who know the way. It takes a long time to get to know a neighborhood, but absorbing a beloved local market with decades of institutional memory stored in its bones shortcuts a whole lot of work for a big-box store. When Safeway absorbed Andronico’s, it didn’t kick its products out of bed, but rather kept the staff and much of the inventory, peppered in a few of its own products and changed the name of the flagship Berkeley store to Safeway Community Market. The hybrid model gives Safeway some chameleonic power to blend a little better, and across the street from Chez Panisse and down the block from the iconic anticapitalist Cheese board Collective, a little blending can go a long way. 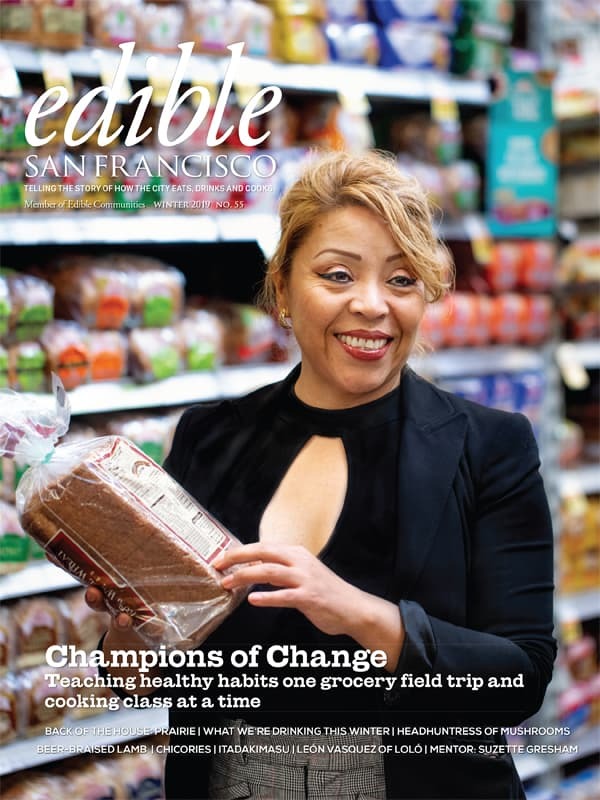 All of Safeway’s 244 markets in Northern California are tailored to their neighborhood in some way, but camouflaged or not, big-box stores aren’t exactly a cozy fit in the legacy of the Bay Area’s food system. This is where consumers boycotted grapes for five years on behalf of underpaid farmworkers, a war led and won by Dolores Huerta and Cesar Chavez. This is where Big Soda fought and lost the tax battle, and where “eating local” launched into the mainstream. In 2014, San Francisco even tightened up its stringent restrictions that keep chain stores from opening here, requiring an expensive conditional use permit for any store that operates more than 11 locations worldwide. This city is religiously and emotionally devoted to pre-industrial ways, at least to the extent it can be, constituting some ideological conflict with a national chain that relies on scale and consistency and growth, sometimes at the expense of the laborers. But that division gets muddier all the time as big stores co-opt the language and marketing of natural food stores. 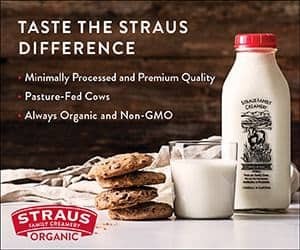 Organic has gone so mainstream, thanks to millennials, that even Whole Foods is struggling to compete with the largest organic purveyors in the U.S.—Walmart, Costco, Aldi and Kroger—compelling the store to launch a down-priced house-brand chain, 365 by Whole Foods, last year, one of which is seeking the permit to open on the corner of Polk and Jackson in Russian Hill. How then, as big-box stores become better and closer in image to longstanding, independent, natural food groceries, will San Francisco’s markets survive? Without the volume to buy at scale or multiple locations to disperse the cost of overhead, and in a city whose land value and minimum wage are steadily increasing, the forces are always conspiring against local food markets. Many have closed, but many of the survivors are thriving. They’re the ones that know how to ride the waves because they’ve lasted through almost every economic storm since the Vietnam War, and they’re here in part because their communities and employees won’t let them go. Each of them has its secrets, but for all of them, it’s about a lot more than the money. Over on Harrison Street, Gus’s Community Market opened late last year, the third market the Vardakastanis family has opened since 1981. The other two, Haight Street Market and Noriega Produce, have done steady business since they opened 36 and 31 years ago, respectively. 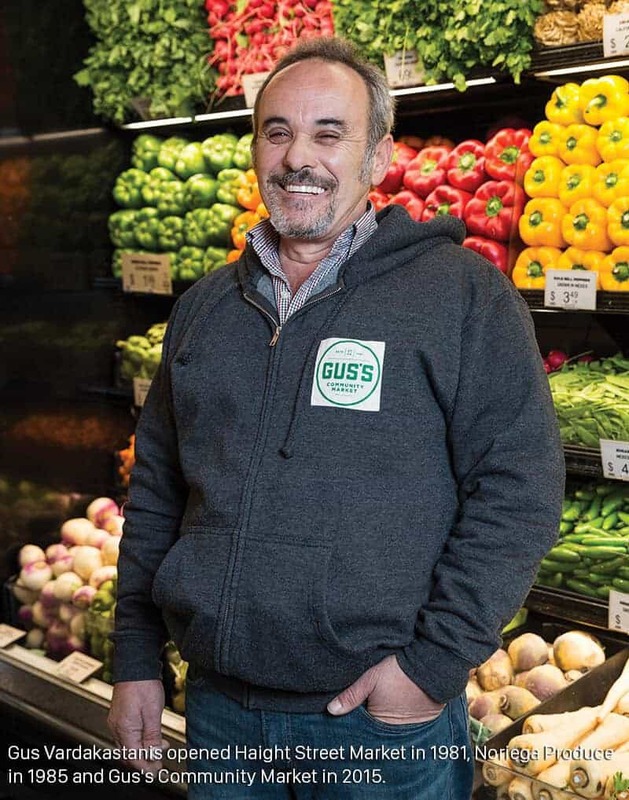 Gus Vardakastanis, the new market’s namesake, emigrated to San Francisco as a teenager in the mid-1970s from his family’s olive and livestock farm on the Greek island of Zakynthos. After a decade working produce stands and markets, using what he knew from a boyhood steeped in agriculture, he saved up enough to open that first store with his grandfather, and the second a few years later. After 40 years, Gus still wakes up at 1 a.m. at least four days a week to cherry-pick fruits and vegetables at the produce terminal and check on orders. His sons Dimitri and Bobby have taken over managing the stores and updated the inventory with more organic, natural options. But since the beginning, the family has always kept it’s ear to the ground. For the last 36 years, when customers ask for something, there’s a good chance they’ll find it on the shelves a week or two later. Sometimes those requests seem out of left field, but it usually serves the store to buy it anyway. “It’s crazy what flies off the shelves, things with high price points that you’d never think to buy until someone asked for it. Five years ago we thought we had enough fresh bread options, but we’ve brought in 10 more since then. And three more this week. It’s what people want. And pricey coconut kefir,” said Dimitri Vardakastanis. Responsiveness does two things: fortifies the customer’s feeling that the store cares, and drives sales. A smaller market like Gus’s can be uniquely agile when it comes to meeting customer requests. The family’s newest location is clearly tapped in to the zeitgeist with a fizzing spectrum of probiotic drinks, kale chips, grass-fed meats and Humphry Slocombe ice cream in the café. It’s not the neighborhood market from 1985. But amidst all the change, the family keeps the cornerstone of the store, Gus’s hand-picked produce aisle, consistent. Bobby and Dimitri know how to curate it because Gus has been training them since they were barely knee-high. Later on, when the boys were ready to come on full-time, there were no shortcuts or leeway for the boss’s sons. “We were never shy of sweeping the floors, or mopping and cleaning. Our dad said this is what we had to do, not to prove to him that we belonged, but to everyone else that we wanted to work here,” said Dimitri. The sons still work on the ground floor, covering cashier shifts and sweeping the floors as needed and covering the cash register now and then. As they leave, employees reach out for fist bumps from Dimitri. But even so, what keeps a small grocery alive when Whole Foods, and stores like Safeway and Foods Co that could seriously undercut prices at a boutique grocer, lurk less than a 10-minute walk away? “You stay nimble and focused on the commitment you’ve made to your employees and customers. Show them you care, and that there are no smoke and mirrors here,” said Dimitri. The other secret, apparently, is taking cues from your competitor. 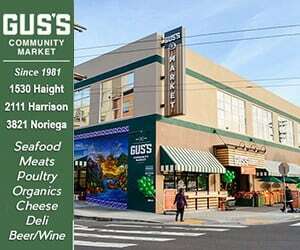 When a Whole Foods moved down the street from the Haight Street Market a few years ago, Gus’s store became a full-service market, adding a deli, meat, fish, poultry and ready-made food section. t did well enough to fund another expansion. And the community feels the impact of their own dollars, too. Last year, the market donated $35,000 to local schools through the Scrip program, and contributes goods and money to over 20 local events a month. The market is stable in part because it has spent 40 years growing its roots and nurturing its own supply chain. But the focus of Gus’s market remains on the community. A stroll in the Mission leads into Bi-Rite territory, where one of San Francisco’s most beloved champions of local foods has been doing business in some incarnation or another since 1940. The Mogannam family has run the store this whole time with the exception of eight years when they sold the business in 1989 but kept the real estate. In 1997, brothers Sam and Raph Mogannam bought the business back and transformed it into the paragon of high-integrity foods that it is today. But Bi-Rite hasn’t always survived on the merit of its pastured eggs and artisan pickles. For most of its long life, the family store was a neighborhood bodega, stocking canned soups and cigarettes and laundry detergent for the laundromat patrons across the street. When Sam came on board, with twelve years of culinary experience behind him, he brought in what he calls the “chef’s perspective,” or a two-part manifesto based on the desire for ingredients that taste good, and “a spiritual desire to feed people and to teach them to feed themselves.” They gutted the store, built a kitchen, brought in the good oils, salts, and fresh spices that Sam loved to cook with. They updated the inventory slowly, and for a while Fruit Loops and organic carrots shared the same shelf space. “We wanted to open with products that the neighborhood was familiar and comfortable with so they didn’t feel alienated or like they were walking into this really precious store,” said Sam. Building relationships with its customers and the foodmakers it buys from is the keystone of Bi-Rite’s success. There is nothing so gratifying to Sam Mogannam as telling a customer how to cook something, and seeing the smile on their face the next day when they come back to tell him about it. But these days, the enthusiasm for home cooking is waning in the face of apps that deliver readymade food in record time. As far as threats to business go, he names two: big-box stores, and the fact that people just aren’t cooking as much as they used to. But Bi-Rite is part of an energized, collaborative evolution between the store, its customers, and the people who harvest, make, and process the products the store sells, and energy like that might have the momentum to keep a small store afloat in a time when less and less people cook. In a sense, Bi-Rite became what its customers wanted before many of them even knew that’s what they wanted. 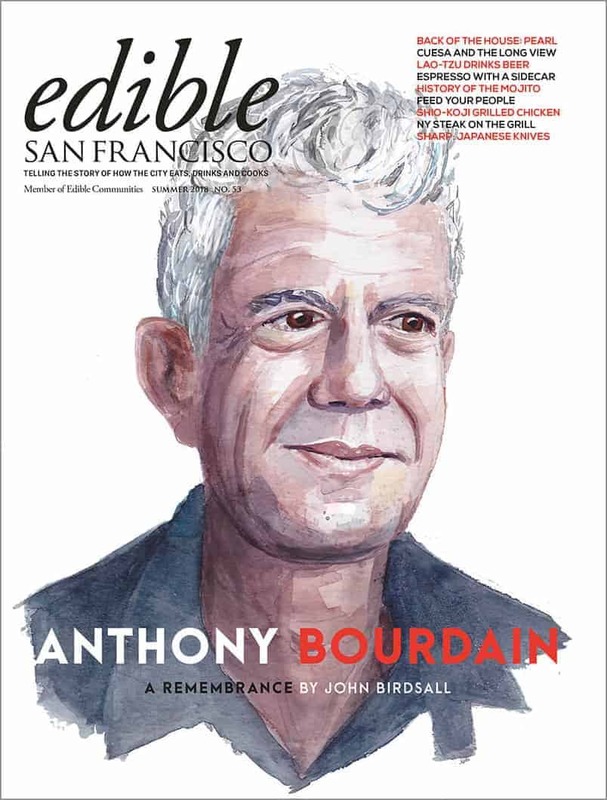 These days, Bi-Rite is still leading the vanguard of mission-driven grocers, moored to its values that its customers likely won’t forget soon. But how will it fare in the years to come? Over on Polk Street in Russian Hill, Real Food Company has held strong as a family-owned natural foods grocer since 1969. Stephanie Hong has owned and managed the store since 2006, four years after her family bought the company from the original owner. Amid stacks of computers and detritus salvaged from the store’s recently closed Cow Hollow location—the landlord didn’t renew the lease, and for unknown reasons the space is still vacant—she tells me about their strategy. Like Gus’s, Real Food aims to be responsive, but a ruthless integrity to its own core values seems to supersede that, if only by a little. The store has been focused on unprocessed foods since the start, but since Hong took over, the inventory has gone GMO-free, and mostly organic, and bigger brands are disappearing from the shelves. She sees small, independent retailers as incubators for small brands, the only place they can get their start. Without room on the shelves for them, where will they go? Real Food Company sits in the shadow of an impending 365 by Whole Foods, bound to undercut the older store. When the Board of Supervisors was considering banning chain stores on Polk Street, some community members contended that 365 would make an overpriced city more livable; others feared it would drive local spots out of business. The ban failed, and 365 is on its way. 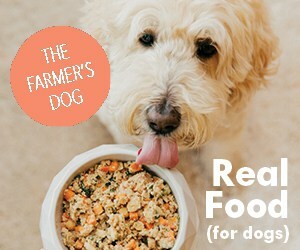 In response, Real Food is staying its course, if shifting a little deeper into a focus on health, Hong said. Real Food Company ditched Justin’s Almond Butter when it sold to Hormel, and Hong continues to shed bigger brands. If the store wants to go pesticide-free, which Hong would support, it can make that change more quickly than a bigger store. Same with the GMOs. But what else, besides responsiveness and unwavering commitment to core values and a well-curated inventory, keeps a market resilient? For some stores, it’s the same energy that’s been coursing through the Bay Area’s grassroots food systems since the ’40s. That is, a desire for a more equitable world, good food for all and a little bit of anarchy. Of the cooperatives that sprang up during the antiwar years to wrest control of the food system from corporate powers, only a few are left. But the ones that survive are proving in some sense that not only can a locally owned market with thin margins and higher price points survive in this climate, but it can do it playing outside the rules of capitalism itself. In a world that rarely rewards those who don’t aim to climb up or sprawl outwards, that’s saying something. This is the story of Other Avenues and Rainbow Grocery. Other Avenues, tucked into one of those misty, salty corners of the Outer Sunset, has been serving the same community since the mid-’70s, when it was founded by a group of volunteers involved with the San Francisco Bay Area Food Conspiracy—a citywide grassroots effort to build an alternative to the industrial food system and to the supermarkets that were increasingly alienating people from the source of their food. It was an attempt to build a democratic food system, by the people and for the people, and the whole thing started as a network of local neighborhood “conspiracies” who bought their food collectively, cooked and ate together and conspired against the establishment. But the history of cooperative food buying in the Bay Area goes back earlier than that, to the Industrial Revolution, when exploited and underpaid workers pooled their dwindling resources to eat, and just after the Great Depression, when cooperatives arose to harvest and distribute produce from abandoned fields. There have been many waves of people organizing themselves to resist, survive and empower in the years between, and the Bay Area in particular has a history of nurturing organizations that work outside the system towards an egalitarian future. But the birth of both Other Avenues and Rainbow Grocery happened with a wave of cooperatives that arose in the ’60s in reaction to the ’50s, when postwar building and chemical technology had redirected its energy towards agriculture, flooding farmland with new, mechanized farming methods and agrichemicals. Industry giants like Monsanto and DuPont were absorbing family farms at a quick clip. These conditions inspired a wave of idealistic, disenfranchised activists who wanted to wrest control of food and give it back to the people. Francis Moore Lappé published Diet for a Small Planet, Rachel Carson wrote Silent Spring, and Ralph Nader began his crusade for transparency and safety on behalf of American consumers. The Diggers, a group that didn’t like to be defined but was among other things an anarchist, activist, guerilla street theater group, started a “free store” to distribute free food and goods to the people. Fueled by the same principle that food was a right, those local “food conspiracies” started forming in neighborhoods across the city, aiming to bypass corporate control over their food supply by going directly to the source. Orders were taken at weekly potlucks, which doubled as meeting spaces to talk about labor issues, health, ecology, the food system and opportunities for civil disobedience. Immigrant families taught each other to cook before miso, tempeh and tofu ever got traction in a grocery store. They were buying clubs with a mission: to dissolve cultural barriers and gain sovereignty from the mainstream economy. Eventually, the conspiracies opened storefronts to streamline distribution and make whole, natural, good food accessible to the masses. They were mostly run by volunteers, and the markup was just enough to offset spoilage and cover rent—which, in that time, wasn’t much. Stores popped up all over the Bay Area, buying from farmers and warehouses like Veritable Vegetable and the Cooperating Warehouse in Richmond (where Costco is now), and there was no distinction between the staff and the shoppers. Members met regularly to converge on their shared goals and values, and eventually coalesced into what they called the People’s Food System. The system had dreams of replacing capitalism’s grip on food supply, and they had a mantra too: Food for People, Not for Profit. The stores shared distinct anti-capitalist views, but finding common ground was otherwise difficult. Should stores pay workers? Who should be allowed into the PFS? The network eventually splintered for good after a shooting outside of a PFS meeting between two former inmates who were employed at Veritable Vegetable and Ma Revolution, a co-op in Berkeley, through a parole program PFS engaged with. They were old rivals, there was a showdown, bad press ensued, and while there’s no single story about how the PFS collapsed, it did. Some say the stores lacked the business acumen, others say the lack of a clear, unified philosophy broke them. But the legacy lives on in its survivors. Above: Shanta Nimbark Sacharoff at Other Avenues, where she has been a long-time member of the worker-owned cooperative for 35 years. She also participated at the all-volunteer-run Haight community store in the 70s. Left: Shanta Sacharoff’s book, Other Avenues Are Possible, offers an insiders look at the dramatic rise of the San Francisco People’s Food System beginning in the 1970s. Shanta Nimbark Sacharoff, an early active member of the PFS, author of Other Avenues Are Possible (PM Press, 2016), wherein much of this history is detailed, and employee of Other Avenues, meets me after her cashier shift on a Tuesday morning. She’s 35 years into working at Other Avenues, and loves it still—enough to take a recent pay cut so the store could pay new employees more, making it possible for them to live in the city. In 2015, the store lost half of its staff to the rising price of housing in the Bay Area. The employee who proposed the adjustment took a pay cut too. Other Avenues has proved its resilience on many occasions. On the brink of closure in the late ’70s, OA was rescued by a garage sale, a bake sale and a concert that paid the rent and bought a pickup truck for delivering vegetables. In 1982, the store moved into its current location and hired more staff but sales didn’t improve, and again, community members came to the rescue with loans, as did the Cheese Board Collective in Berkeley. OA still had no firm business structure at the time, and the staff and shoppers were still the same thing. In 1987, OA restructured into a “hybrid consumer co-op,” adopting a board of directors that included workers and consumers. After a while, the numbers still weren’t promising, and an accountant suggested they close, but that’s not what OA does, and again its loyal staff and customers forked out enough in loans to keep it open. In the late ’90s, the building that housed OA went up for sale so a community member stepped in with a checkbook and bought it to secure the store. And in 2008, after 28 years in the space, the workers of Other Avenues decided to buy it themselves. In true cooperative form, Rainbow Grocery, the Cheese-board Collective, Arizmendi Bakery, Veritable Vegetable, and OA’s own members pitched into the hat for a down payment. OA is still here because its community literally won’t let it go. And the community has changed over time, but this kind of store is not separate from the people who buy from it, and so it follows that OA will always be in some gradual, alchemical flux that mirrors the neighborhood. It’s an organism that adapts, and adapts again when the circumstances change. Now, when times get tough, Sacharoff said the staff’s first strategy is to step up their game, get a little more efficient and mostly just try to act more professional. “In the ’70s, ‘professional’ was a dirty word. It was something they were, and we weren’t. And we were proud we weren’t. But now I guess it’s OK,” said Sacharoff, leaning back in her chair and laughing. 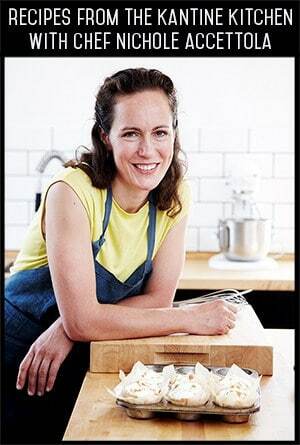 The way Sacharoff tells it, cooking is a political action, as is making your own food instead of buying something that was prepared and marketed to you. Any act to sidestep the market’s attempt to usurp your own power to choose is a political act. In a way, and this is my own reading, the store has no target market because “targeting” itself is a kind of washing out or exploiting a customer’s own agency. And that, in a store that preaches human sovereignty from the powers that be, is practically a felony. Plus, Sacharoff believes consumers will keep finding their way to stores like hers because that’s where the good food is, and the more we learn about the links between processed, pesticide-ridden food and disease, between ecological destruction and monocropped vegetables, the more consumers will gravitate towards the opposite. 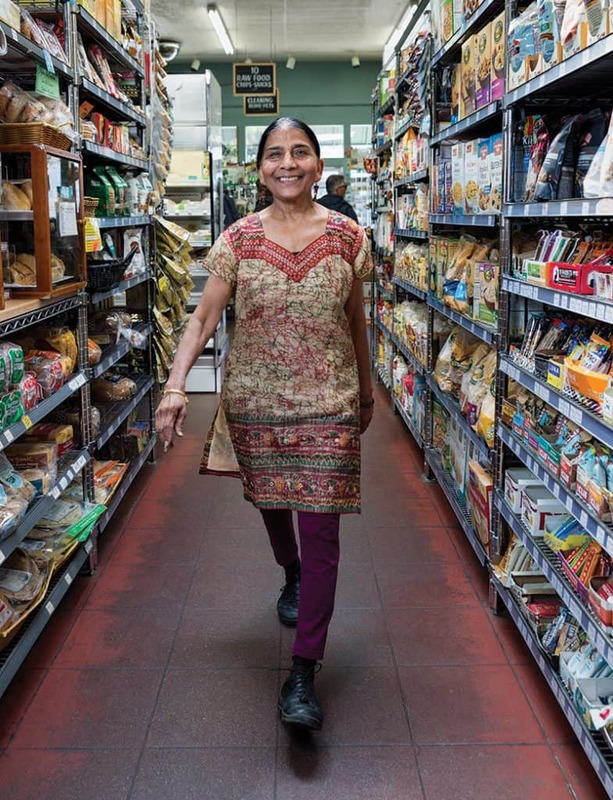 But not every store has found that being political is the best recipe for longevity.Rainbow Grocery, which was born in 1976 as a buying club for an ashram, stayed on the periphery of the People’s Food System and its ensuing drama. “While the Haight Street collectives were driving home a message about systemic injustice, and other stores focused more on politics and social issues, at Rainbow we bought high-tech electronic cash registers and voted to put the message ‘Love and Food’ on the receipts,” said Ryan Sarnataro, one of the store’s first food buyers. 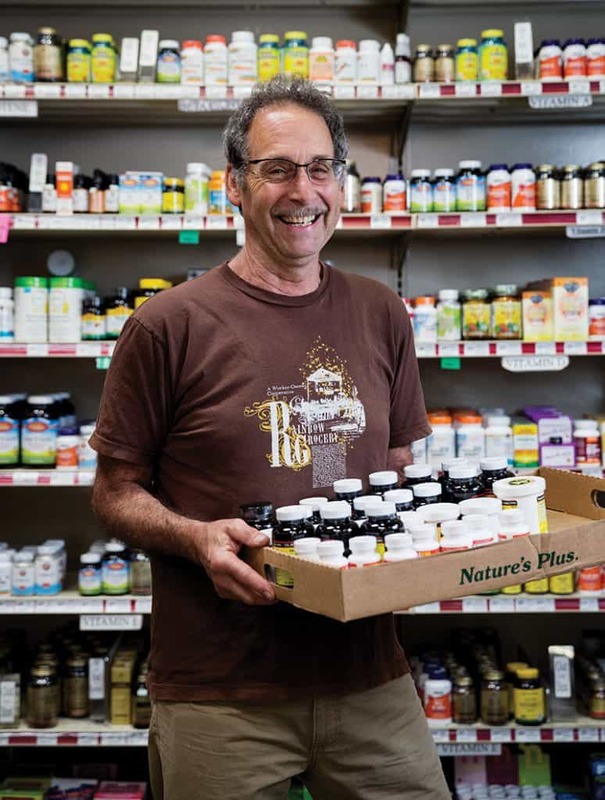 Above: Dennis Wagner, Rainbow Grocery CFO, and the main supplements buyer, has worked 60-hour weeks for over 37 years at the workers cooperative in the Mission. Besides the fact that that a worker-owned cooperative is radical by nature, Rainbow’s strength has been its discipline and knowing when to keep its head down and count the inventory—which the team at Rainbow didn’t even learn to do until they were four years in. The first day they did it, as CFO Dennis Wagner remembers it, employees were confused about why they were counting boxes. “We can’t know how much we sold if we don’t know how much we started with, can we?” he said. But the store pulled itself together by virtue of what Sarnataro calls “an educated cadre who could be making a lot of money somewhere else but tried to create an alternative to capitalism by pursuing the ideal of food for people not for profit.” He said people saw the collective as “a bunch of hippies playing store,” but they played store well enough to mentor other stores away from the brink of closure, and have weathered storms better than most. The tensions that arose in the PFS often came up where the desire for a food system free from profit met the economic reality of a grocery store that needed to survive. Rainbow eventually became the biggest buyer in the PFS when it joined, but it never engaged with the politics head-on or got tangled in the attempts to reconcile ideology and business. Instead, they were idealistic realists who learned to run a store. And the store did profit—a whopping $400 or so in its first few years, by Wagner’s estimate. He and his wife started here in 1981, when they were “poor as church mice,” working for $3.50 an hour. Now, Rainbow supports over 200 families with living wages and full benefits, accumulating equity and shared surplus at the end of the year. Wages are decided annually by voting; when the budget is released, peers delegate that money to each other based on, well, how they feel. After 37 years of working 60-hour weeks here, Wagner’s hourly wage is about 50% higher than that of the newest employees. He tells me his role hasn’t changed in all that time, even though he’s been on the board of directors—which the co-op formed when it got too big to move decisions along quickly—is the current CFO, and serves as main supplements buyer. Rainbow has always focused on good service, but there is less pressure to be perfectly, tippably hospitable if your future is somewhat secured and comfortable here, and if your longevity doesn’t depend on every customer’s approval. “The workers here have a higher claim of ownership in business, and layered degrees of freedom, some of which comes across as rudeness and some as excellent service. And I think at least for me, I would rather go into an environment where the staff feels supported by the structure than one where the staff is oppressed by the structure,” said Sarnataro. Because of its structure, Rainbow is physiologically incapable of screwing over, exploiting or oppressing its employees because Rainbow is the employees. But its longevity is still in question when you consider the price points, which can be a dollar or two higher than at a market with similar offerings. What will keep Rainbow shoppers coming? “The only way co-ops are going to be able to survive is by making a value proposition to the customer. You must choose to support it even if the cashier is occasionally rude or if the price is occasionally not as sharp. Sometimes the price is going to be sharper and you’ll have a dream of an experience there, sometimes not. You’ll get the good with the bad,” said Sarnataro. But impeccable hospitality is not what the money is meant to reward here. The money supports a participatory democracy and the proof that it can work in a world that doesn’t always honor it on a large scale. Maybe a shopper just likes the homemade seaweed kimchi here, or the bulk tahini bin, but when she buys it she is supporting autonomy from a historically oppressive system and freeing herself by association. But what hope is there for the survivors of the People’s Food System, if the PFS itself eventually failed? Vim + Vigor: How grass roots and family keep San Francisco’s small markets alive in a world conspiring against them was published in the Spring 2017 issue. 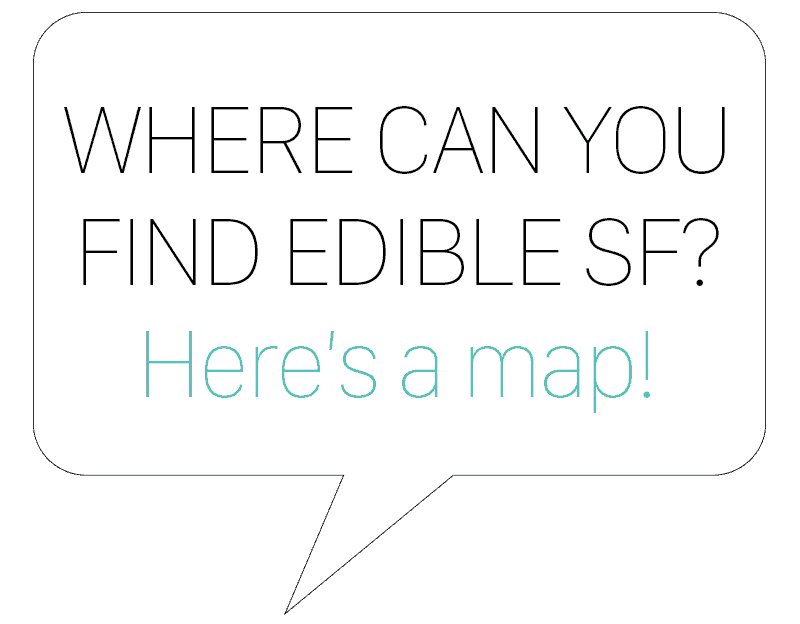 © 2017 Edible San Francisco. Photos © 2017 Angela DeCenzo.